Do you love a clean, modern look? Then a stylish ‘open-space’ kitchen could be the choice for you. Take a look at the latest handle less designs with there minimal horizontal and vertical accents. Constantly evolving, our contemporary kitchens include the very latest ideas and finishes. When you spend a lot of time in your kitchen, it’s important to have a space that suits your taste. 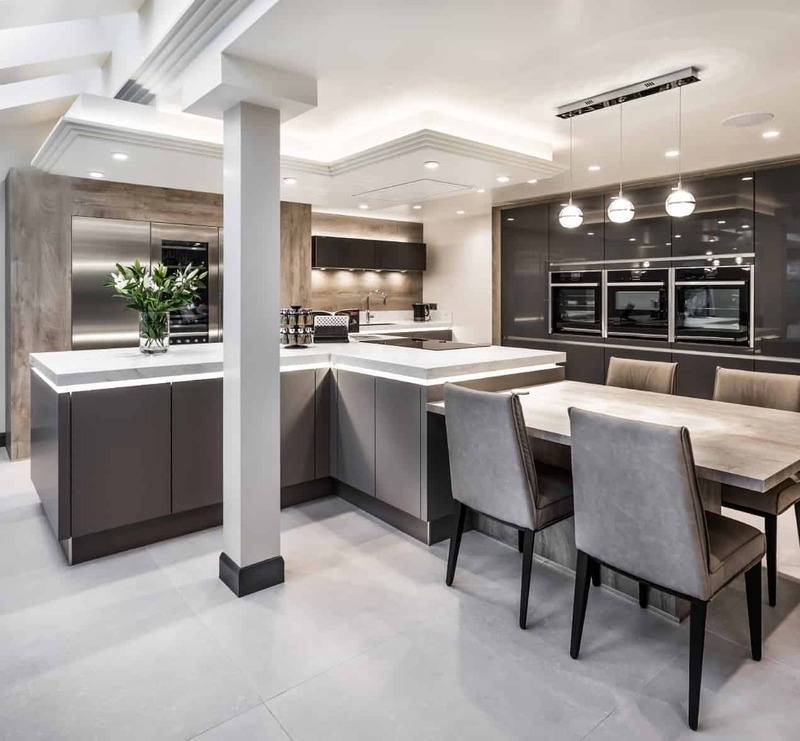 Kitchen Design Centre’s collection of stunning contemporary kitchens is ideal for homeowners looking to take a fresh new twist on quality interior design. Contemporary kitchens capture all that’s new and exciting about kitchen design, bringing together a modern, minimalist feel with bold lines, asymmetry and a mix of natural and man-made materials for an outstanding finish. 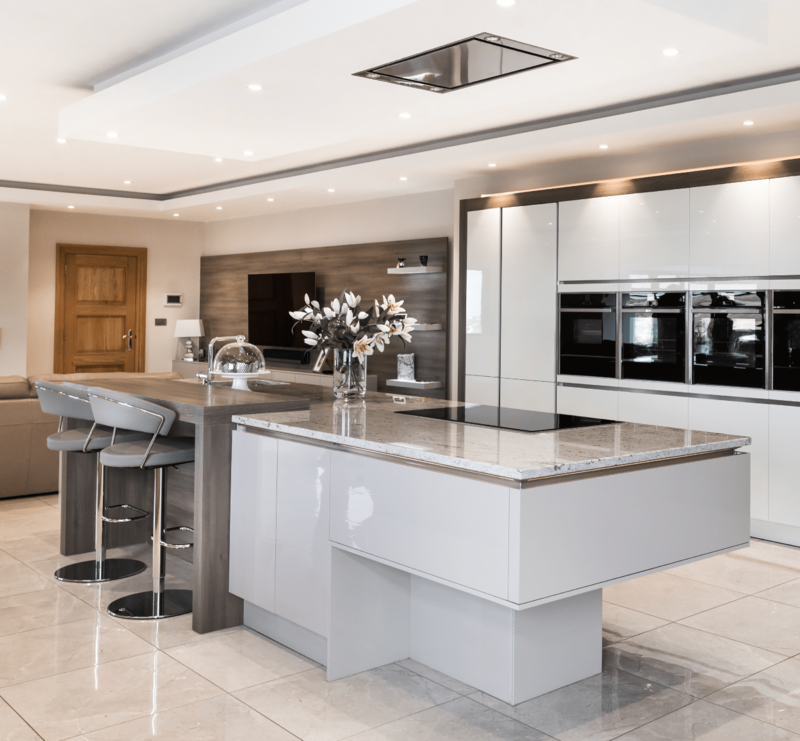 And what’s wonderful about contemporary kitchens is that there are no real ‘rules’ – part of what makes contemporary kitchens so attractive to many of our customers is the level of imagination they can incorporate. Our collection of contemporary kitchens can help you make a statement, right at the heart of your home, embracing cutting edge design and the latest kitchen appliances to achieve a truly unique look. 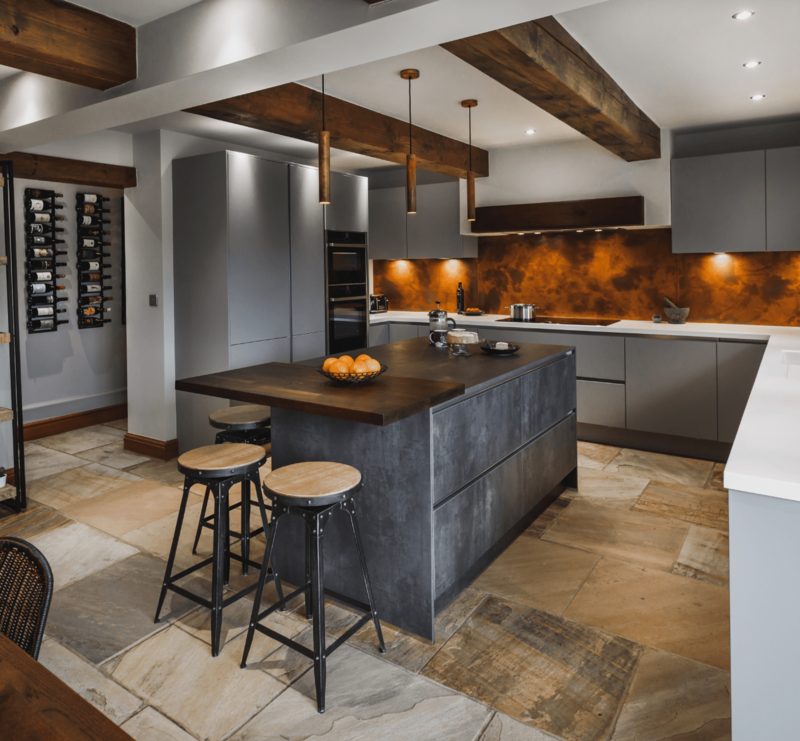 Customers can choose to personalise their bespoke contemporary kitchen in any number of ways – our expert kitchen designers will help you juggle form, shape, tone and texture to create a really breath-taking space that meets all your needs and continues to inspire you for years to come. Our wide range of contemporary kitchens varies – customers can browse a range of shapes, finishes, colours and materials to come up with a look that exceeds all of their expectations. A number of our contemporary kitchen collections also feature clear or frosted glass fronts – ideal for showcasing statement items and stylish in-cupboard lighting. Contemporary kitchens can be as bold or as understated as you like. 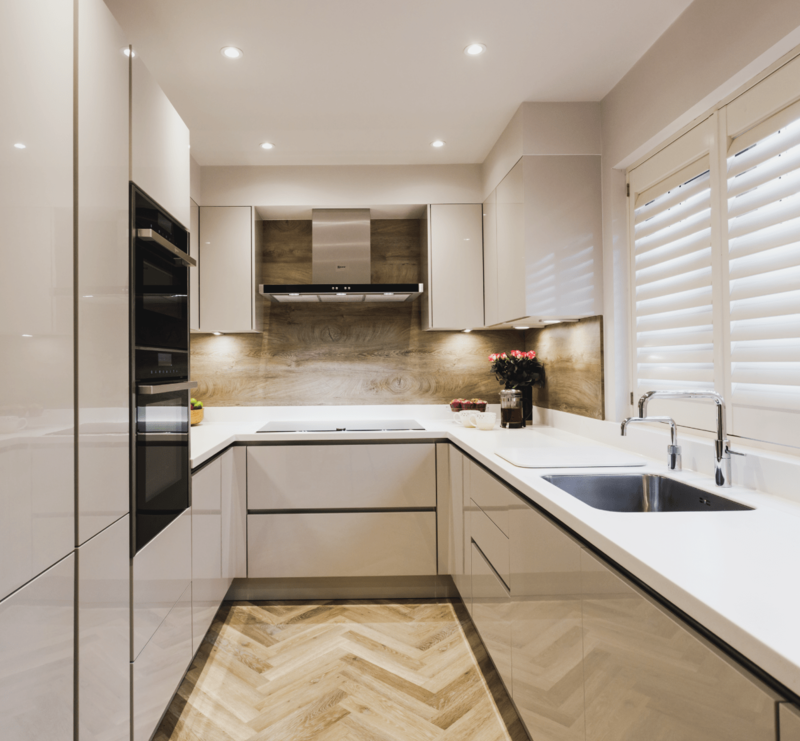 From the ultra-modern to the sleek and subtle, the one thing all of our contemporary kitchen collections have in common is their ability to maximise space and flow in a room. 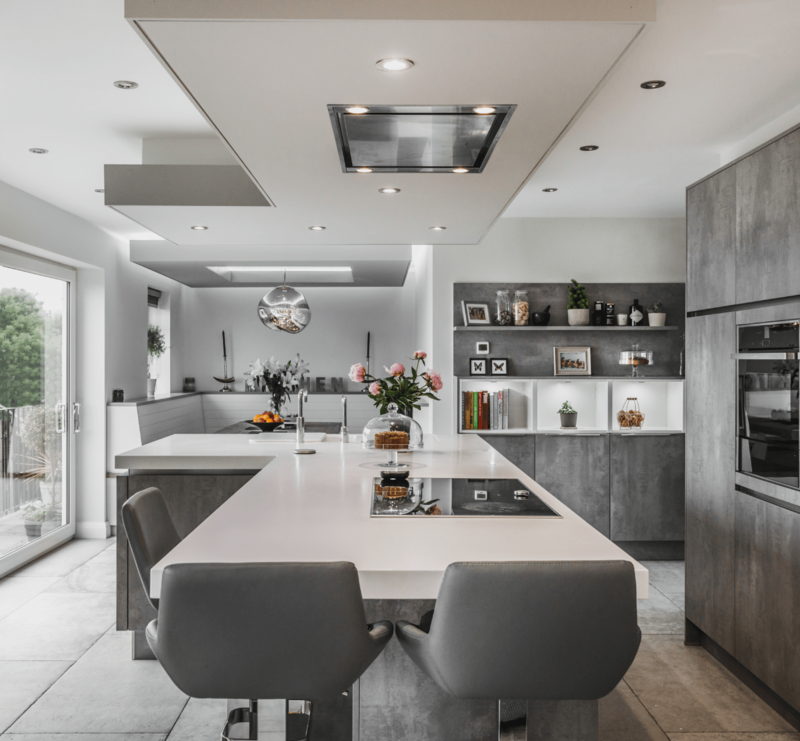 Our designers can help you to choose a contemporary kitchen design that will reflect light, make use of empty space or simply slip into the background, leaving the other features in your kitchen to take centre stage. We offer a wide range of handle-less cupboards, so you can even choose to include a whole sleek wall of storage with no intrusive additions to interrupt the look. 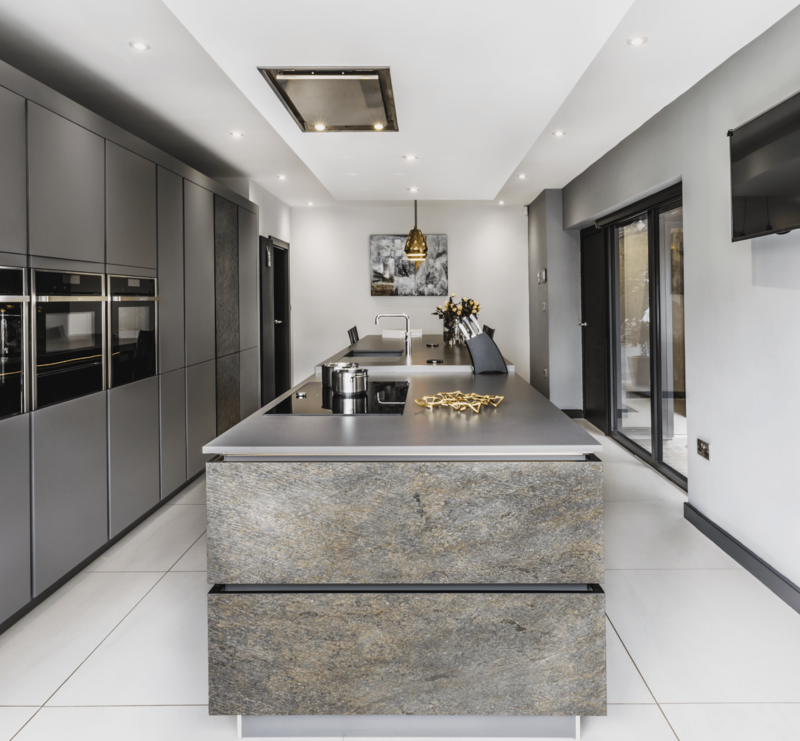 Kitchen Design Centre offers a range of constantly evolving contemporary kitchen collections that deliver the very best in cutting-edge design – both from Britain and from the modern home of contemporary minimalist design, Germany. Our range of British contemporary kitchens is the perfect starting point for customers seeking a smooth, subtle look with a chic finish. British contemporary kitchens, like all of our collections, can be tailored to suit your individual tastes, incorporating more traditional aspects or daring to inspire with statement features. 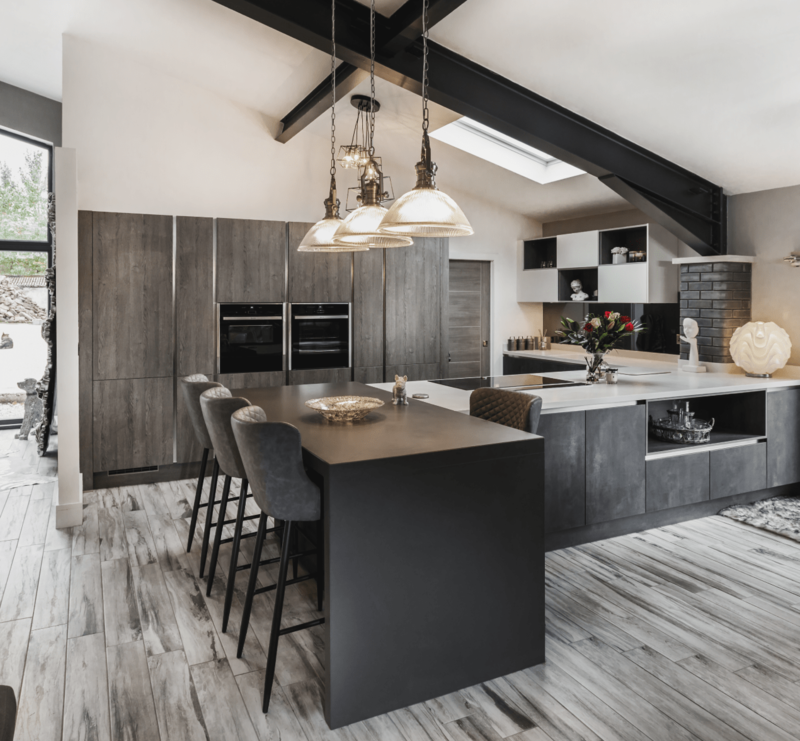 Our collection of German contemporary kitchens is the ideal choice for customers wanting a kitchen that really packs a punch: giving a nod to the best of European and Scandinavian design tradition, our German kitchen collections range from subtle and sophisticated to cool and industrial. Our exciting contemporary kitchens are on show at our Blackburn, Colne and Manchester showrooms, so come and be inspired. 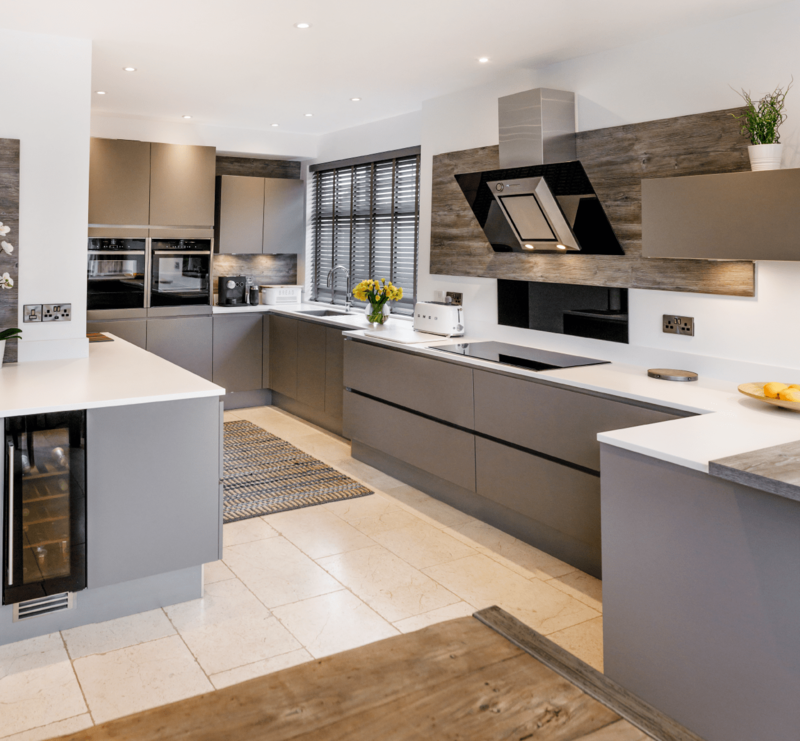 Talk to one of our expert kitchen design consultants who’ll listen to your ideas and walk you through the kind of beautiful bespoke kitchen we can create for you.